What we intend to teach and practice in our new retreat center in the central highlands of Brazil is exclusive healthcare, the same care you can learn to practice exclusively and privately at home. One can intensely treat oneself with the help of loved ones, private staff, and even professionals that can be visited in the local area. Sanctuary offers deep retreats in the most tranquil and pristine environment one can imagine. We are a very private center for health recovery where the concentration goes far beyond physical medicine as we penetrate the worlds of emotion, mind and spirit. At Sanctuary, we deal with peoples` souls. For many, without resolving the deepest issues of the heart, mind and soul physical recovery remains elusive if not impossible. I have this uncanny ability to see deeply into people’s minds and hearts while I am putting myself into their medical situation. I suggest anyone who wants to entertain the idea of visiting Sanctuary in the future review my work in color/perceptual psychology. When one knows what they are truly up against one gains power in the treatment process. To heal is to know what has to be changed about ourselves. This is not a small or easy process but we can do it if we have the help we need and the will to live a better life. One easy first step is to look in a mirror using a simple online color test. I believe that everyone can become responsible for their own health if they are given enough focused care and if they are ready to make difficult lifestyle changes. With enough guidance and support, people can learn how to put their unhealthy habits aside, as well as their heavy emotional patterns of fears, grief, resentments, and shame if they are nurtured and even pampered with round the clock care. People might assume that round the clock care is not possible because we sleep but at Sanctuary, and in one’s own home, one can use a Biomat all night long as well as an PEMF EarthPulse machine for strong yet comfortable, even delicious healthcare while one sleeps. Sanctuary is for patients already enrolled in plan two of my online clinic and have already gotten their treatments started at home. Acceptance is not automatic because of the depth and intimacy of the work but the subject of coming here will be explored with interested parties. 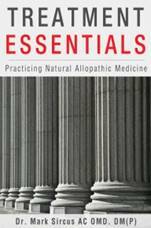 Much of our intensive Natural Allopathic care program can be learned on one’s own. Start with reading my books, which are appropriate for professionals and patients alike. A First Consultation in video form is available to get you started and Home Therapy comes without charge with that to give you 30 days of emails that supports your early efforts, especially with breathing retraining. My third edition of Treatment Essentials enables patients to work on their own at home. 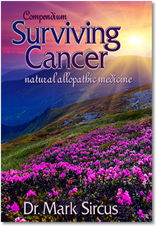 I have also written a Cancer Compendium, which is a 2,500-page document that will teach you almost everything you need to know about cancer. One can do consultations online to receive extra help and orientation on one`s medical situation as well as directions for implementation of the Natural Allopathic protocol. Please understand that I cannot keep up with updating my books for the latest discoveries and practices. It is advised to keep up with my current newsletters for the latest and to review from the previous weeks and months. © 2019 Sanctuary. All Rights Reserved.